I sure wish I had a finished sweater to show you. It’s almost the end of the first week in February and I don’t have a finished January sweater. However, I am close. Thanks to two classes I took last week I am very close. 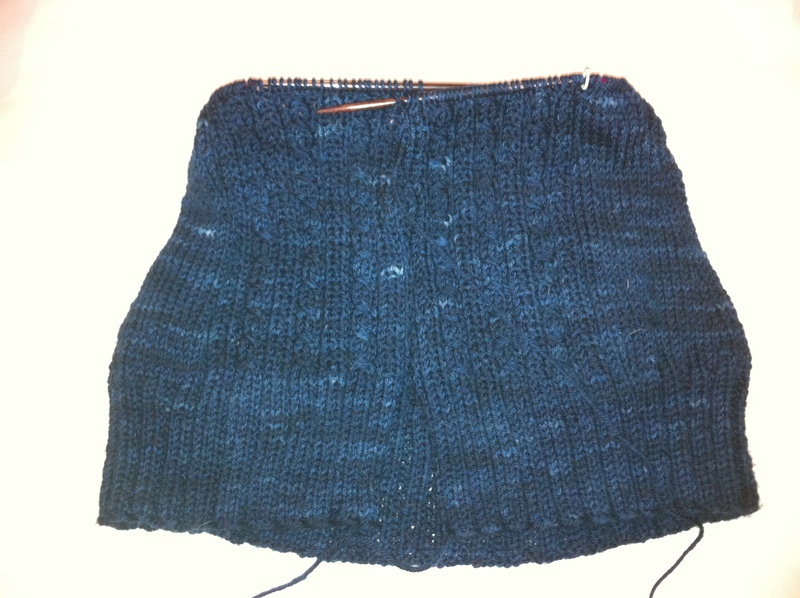 I’m finishing the ribbing on the second sleeve and just have the button band and collar left to do. Not too bad considering that I started on January 5. The great thing about the 12 Sweaters in 12 Months challenge that I laid out for myself is that it is MY challenge. If I don’t get a sweater done every month the world will not end. I will not get fired and my children will not care either way. My husband will only notice because I’ll shove it in his face to admire and then take up most of the hallway with blocking the sweater. It’s ok. I make my own rules when it comes to knitting and the number one rule is that there are no rules. Knitting. Is. Fun. I’m debating what I’ll do for February, but considering that I’m not done with this one and that I’ll have a new little nephew any day now, I think he deserves some new knits. Probably something in the newborn size so that I can get back on a semblance of a schedule. Does anyone have suggestions on a cute newborn sweater for a boy? I just finished the newborn sweater featured on the ball of BearHugs by Plymouth Yarn. It was a quick knit and turned out so cute! You can g et it at Fabric Works in Superior Wi. I like the little lilly sweater by cottage creations – done in boy like colors! The designer is Carol Anderson. It is a great hooded baby/kids sweater with multiple sizes in the pattern. Happy Knitting. Try the puerperium sweater — it’s a free pattern, very quick and easy, and I’ve been obsessed with it!